Most folk who know me, know I don't cosign the whole talking about coke, money and violence in hip hop. That is...unless your name is Pusha T. Yup, Pusha's been getting a pass from me to rap about whatever he wants to since the first time I heard The Clipse's "Grindin" back in '03 and 10 years later dude STILL gets that same pass. And every time I think this dude has ran outta constructive way to rhyme about cooking or selling coke, he always finds ANOTHER way to make it sound dope! And to be honest, it's damn near awe inspiring that this dude can keep my attention after all of these years talking about the same exact thing. But to me, that's a testament to just how DOPE Pusha is. And the craziest thing is I haven't gotten tired of dude by now. In fact, Pusha is one of the few artists who still gets me hype whenever he's about to drop something cause I know it's gonna be BANANAS! And his new album "Darkness Before Dawn" is no different cause I've been bangin' the jawn from beginning to end since it dropped. 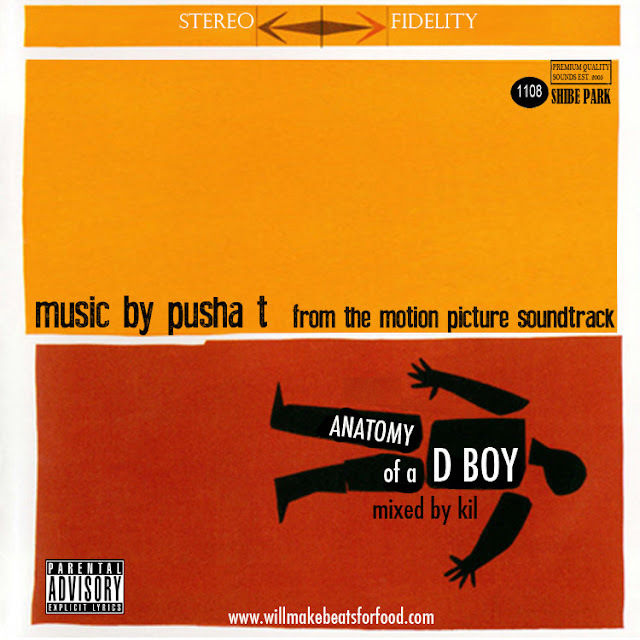 But just in case you need a quick run down memory lane of Pusha's pedigree, check out my "The Anatomy of A D Boy" mixtape and get familiar with one of the nicest cats in the game. Salute.